A gamekeeper's thumb, also called a skier's thumb, is an injury to one of the important ligaments at the base of the thumb joint. The injury involves the ulnar collateral ligament (UCL), a band of tough, fibrous tissue that connects the bones at the base of the thumb. This ligament prevents the thumb from pointing too far away from the hand. These names are often used interchangeably, although they describe slightly different injury patterns. The skier's thumb injury was described as an acute injury to the ulnar collateral ligament. When a skier falls with his or her hand caught in a ski pole, the thumb can be pulled away from the hand. 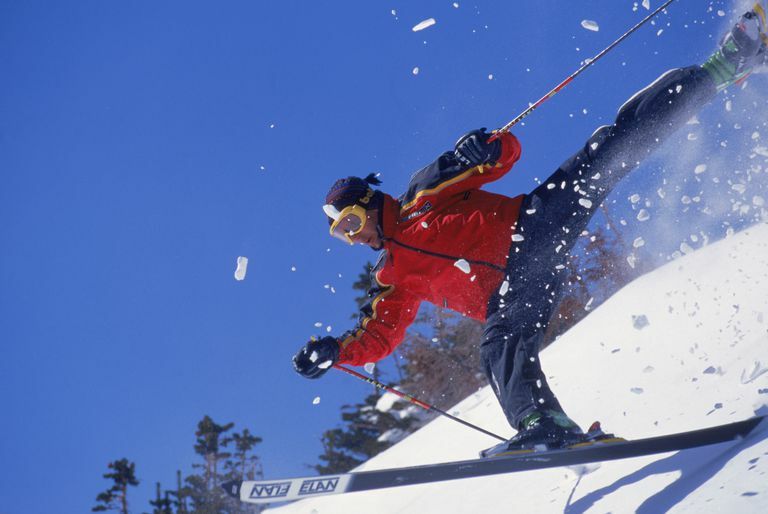 Because of the shape of the ski pole, the thumb tends to get caught and significant stresses are placed on the ulnar collateral ligament. If the ulnar collateral ligament is pulled far enough, it will tear. While there are many ways to injure the ulnar collateral ligament, a skier's thumb is the proper name for an acute injury to the ligament. The other injury is called a gamekeeper's thumb; this refers to a more chronic pattern of injury that leads to loosening of the ulnar ligament over time. The name comes from the European gamekeepers who would kill their game by grasping the head of the animal between their thumb and index finger to break its neck. Over time, the ulnar collateral ligament is stretched and would eventually cause problems. Again, gamekeeper's thumb is the proper way to describe chronic injuries to the ulnar collateral ligament. An ulnar collateral ligament injury most often occurs as a result of sports injuries. Athletes who are skiers and soccer players often sustain this injury. An ulnar collateral ligament injury can also occur as the result of a fall or other trauma. Patients who sustain an acute tear of the ulnar collateral ligament typically complain of pain and swelling directly over the torn ligament at the base of the thumb. Patients will often have a difficult time grasping objects or holding objects firmly in their grip. Because this injury is commonly seen in athletes, they will often complain of difficulty holding a tennis racket or throwing a baseball. Patients may also complain of instability or catching their thumb in pockets of their pants. Tests used to confirm the diagnosis may include x-rays or MRIs. X-rays can be helpful as they allow your doctor to stress the joint and see if the ligament is doing its job or if it damaged too much to stabilize the joint. In addition, sometimes x-rays show a small piece of bone pulled of the thumb metacarpal by the UCL ligament. This bone, called a Stener lesion, is a sign that surgery is usually necessary as the bone will prevent the UCL from healing in its proper position without a surgical repair. The treatment depends on several factors, including the extent of the injury, how long ago the injury occurred, the age of the patient, and the physical demands of the patient. If the tear is partial, and the thumb is not too loose, the patient is usually placed in a cast or a modified wrist splint (called a thumb spica) for 4 to 6 weeks. By immobilizing the damaged ligament, healing can take place in the thumb will be protected from further injury. If the tear is complete or if the patient has significant instability due to the tear of the ulnar collateral ligament, then surgery may be considered. Surgery is usually most effective when performed within the first few weeks following injury. If possible, the surgeon will repair the torn ends of the ligament back together. If the ligament is torn from the bone, then the torn end will be sutured down to the bone itself. If the injury to the ulnar collateral ligament is older, then it is likely that a direct repair will not be possible. In this case, either another structure will be transferred to reconstruct the ulnar collateral ligament or one of the muscles at the base of the thumb will be advanced to compensate for the torn ligament. Following surgery, patients will be placed in a cast for four to six weeks to protect the repaired ligament. At that point, gentle motion of the finger will begin. Most patients are able to play sports 3 to 4 months after surgery. Risks of surgery include infection, healing problems, and nerve injury. In addition, even with the surgical procedure, the damage to ligament will need time for healing. Inadequate rehabilitation or insufficient protection following surgery can lead to stiffness and weakness of the thumb. Injury to the ulnar collateral ligament of the thumb can cause pain and instability. The instability of the thumb often makes activities such as gripping or pinching uncomfortable and difficult to perform. For these reasons, people with more significant injuries to the ulnar collateral ligament may choose to have a surgical procedure to repair or reconstruct the damage to ligaments. For minor injuries to the ligaments, often a short course of immobilization with a splint or cast will allow the injury to heal. Tang P. "Collateral ligament injuries of the thumb metacarpophalangeal jointJ Am Acad Orthop Surg. 2011 May;19(5):287-96.